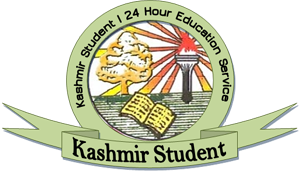 Jammu and Kashmir State Board of School Education (JKBOSE) on Wednesday declared the result of 10th standard annual examination – 2011. 1st Position: Naseer Ahmad Rather of Sidrah Institute of Education, Anantnag. 1st Position: Khayrul Nisa of SAMIE, Beerwa. 1st Position: Aamir Mustafa of Tyndle Biscoe School, Srinagar. 1st Position: Hafsa Haroon of Presentation Convent School, Srinagar. 1st Position: Khubaan Jamshed of Mallinson Girls School, Srinagar. 2nd Position: Afnan Showkat of Saint Joseph’s School, Baramulla. 2nd Position: Anies Ul Amin of Iqbal Memorial Institute (Boys), Srinagar. 2nd Position: Faakirah Rashid of Wood Land House School, Srinagar. 2nd Position: Andleeb Fida of Presentation Convent School, Srinagar. 2nd Position: Haaiqah Suhail of Presentation Convent School, Srinagar. 2nd Position: Kifa Peerzada of Presentation Convent School, Srinagar. 2nd Position: Saba Khan of Presentation Convent School, Srinagar. 2nd Position: Amaar Tariq of Mallinson Girls School, Srinagar. 2nd Position: Rutbaa Ishfaq of Mallinson Girls School, Srinagar. 3rd Position: Saima Malik of Al Sarwat Convent Institute, Anantnag. 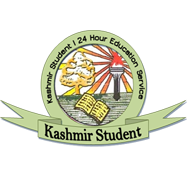 3rd Position: Malik Shujat Mushtaq of Burn Hall School, Srinagar. 3rd Position: Burooj Iqbal Shah of Srinagar British School, Srinagar. 3rd Position: Malik Abdul Basit of Minto Circle High School, Srinagar. 3rd Position: Aiman Sahreen of Presentation Convent School, Srinagar. 3rd Position: Farukh Masoodi of Presentation Convent School, Srinagar. 3rd Position: Ifrah Shafeeq of Presentation Convent School, Srinagar. 3rd Position: Maryam Ayub Bacha of Presentation Convent School, Srinagar. 3rd Position: Afshan Zargar of New Era Public School, Srinagar. 3rd Position: Mansha Mir of Tiny Harts School, Srinagar. 3rd Position: Rutba Mufti of Mallinson Girls School, Srinagar. 3rd Position: Sidra Zehra of Mallinson Girls School, Srinagar. 3rd Position: Lyluma Ishfaq of Mallinson Girls School, Srinagar. 3rd Position: Shifa Shafat of Mallinson Girls School.Srinagar.